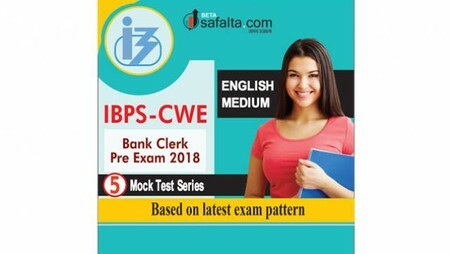 This Mock Test Series is prepared by experts for IBPS CWE Clerk Examination-2018. The Online Mock Test Series will be available at Safalta.com. All questions are sorted with a comprehensive solution and detailed explanation. According to the pattern of IBPS CWE Clerk exam, there will be 1 marks fixed for each question and negative marking of 0.25. While selecting questions in this Mock Test, all authentic and reliable reference books have been used. 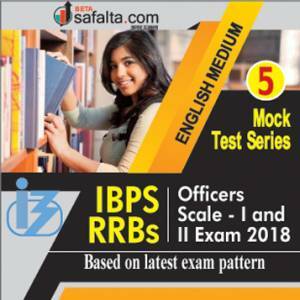 This Mock Test Series is prepared according to the latest pattern. The Mock Test Series will have a total of 500 questions. For every question, 1 marks are awarded. Negative marking in exam is 0.25 each question. Before giving the exam, read all the instructions carefully.